Blue Hawaii - Elvis Presley is in paradise, playing an ex-G.I. who comes home to Blue Hawaii. Easy Come, Easy Go - On his last day in the Navy, frogman Elvis discovers a sunken treasure ship. On his first day as a civilian, Elvis starts his new job-self-employed treasure hunter! 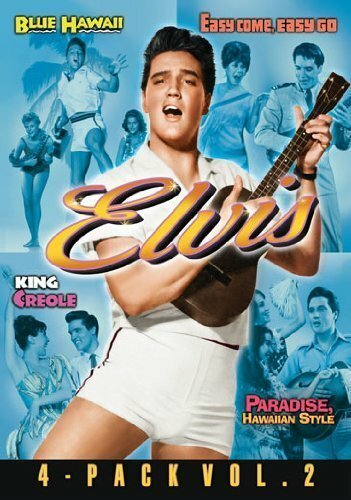 King Creole - Elvis Presley delivers one of his finest early performances in King Creole. Elvis plays a teenager named Danny Fisher, who is forced to drop out of school to help support his ineffective father (Dean Jagger). Paradise, Hawaiian Style - Elvis takes to the skies over the island paradise of Kauai. He's a partner in a helicopter charter service. If you have any questions about this product by Paramount, contact us by completing and submitting the form below. If you are looking for a specif part number, please include it with your message.